Almeco is a supplier of bifurcated fans (ADB) to various companies in the potato processing industry. With this type of fan, the motor is located outside the airflow, making it suitable for higher temperatures and highly polluted air. The possible versions are stainless steel and galvanized steel. 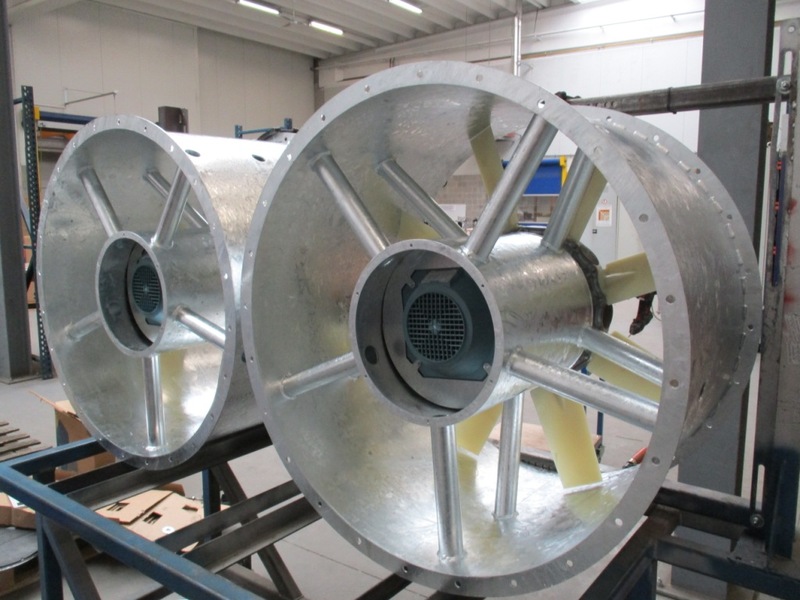 A Belgian producer of potato snacks uses our directly driven axial fans to remove vapour and heat from the baking process. In this application, the motor is located inside the duct. Using the documentation and drawings supplied by us, the fans could be easily installed. After the installation, the customer informed us that he was satisfied with the drainage capacity and the sound produced. 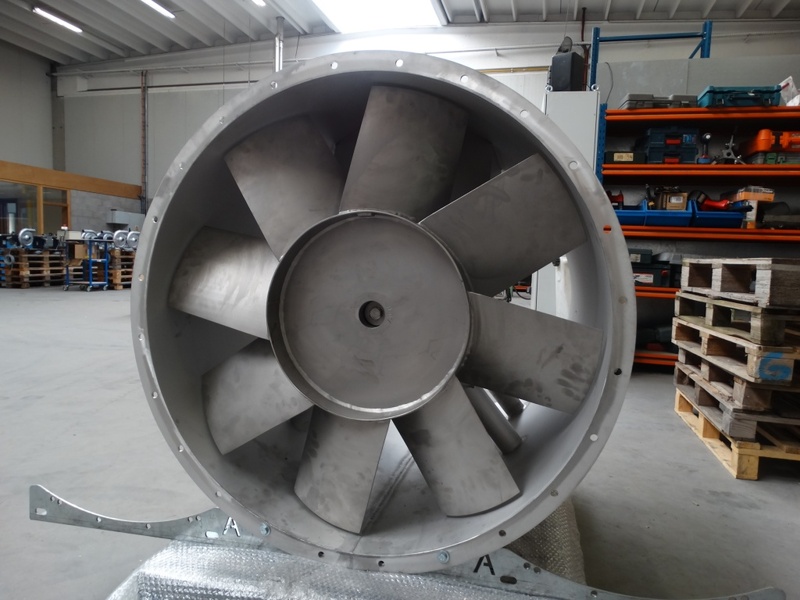 Almeco also supplied 6 ADB fans for the extraction of greasy vapours to another Belgian potato processor. Are you active in the ‘potato processing industry’? Are you looking for a tailor-made solution for the 'discharge of smoke and heat' or the ‘extraction of greasy vapours'? Please contact us and we will be happy to help you.